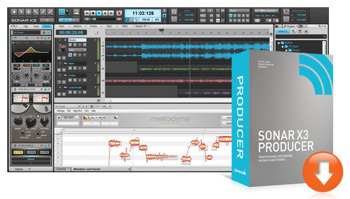 Sonar X3 Producer, General Sequencer from Cakewalk in the Sonar X3 series. 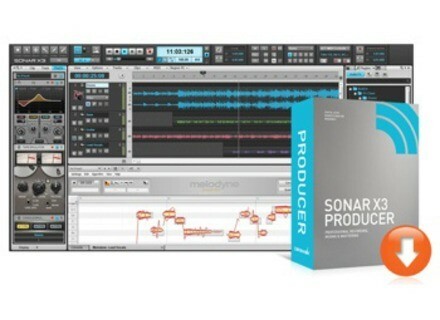 A US online store leaked the first details of the X3 Producer version of SONAR, an information that was later confirmed on the Cakewalk forum. Sonar X3 is, according to the Cakewalk team, around the corner, the online store having announced the release on September 28th, a date that was not confirmed by the brand. Note that the store removed the announcement from its website. The Cakewalk team adds on the forum that other new features will soon be unveiled. No information regarding the other SONAR X3 versions nor the price of this new version. SpectrumWorx goes 64 Little Endian updated its SpectrumWorx modular effect processor to version 2.9 in order to add 64-bit support on Mac and PC. A hard and soft bundle to remix at Microsoft Microsoft introduced its new Surface generation of touch tablets, with a new hardware and software bundle option for DJs and remix fans. XME Studio on iPad updated to v2 XME Inc. launched the second version of its iPad software sequencer, which now supports up to 96 tracks.